The mid priced Ebonite Eclipse bowling bag is an excellent bag with several bells and whistles. 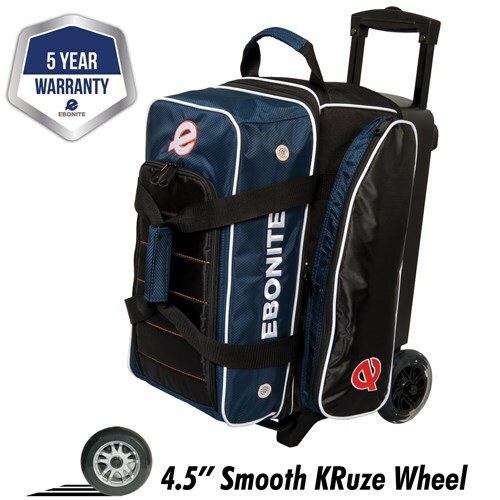 This bag is made of a durable 600D fabric, it can hold two bowling balls, two pairs of shoes, along with plenty of accessories. The color coordinated wheels take this bag to the next level of style. Retractable square color-coordinated locking handle extends to 36"
Due to the time it takes to produce the Ebonite Eclipse Double Roller Navy ball it will ship in immediately. We cannot ship this ball outside the United States.